Lille passenger train ticket prices, timetables, ticket reservations and information for trains travelling from Lille to Ashford, Ebsfleet and London. Compare all available Lille Eurostar ticket prices in real time and book the cheapest available Lille car and passenger Eurostar tickets travelling to and from Lille, Ashford, Ebsfleet and London with Eurostar trains online with instant confirmation. Book Lille Eurostar Tickets with Eurostar for trains travelling from Lille to Ashford, Ebsfleet and London online in advance to enjoy the cheapest available Eurostar ticket price. The price you see is the price you pay. There are no hidden extras or surprises such as added fuel surcharges or booking fees and we do not charge you anything extra for paying with a Visa Electron card. The price we quote you for your selected Lille passenger or car Eurostar ticket, onboard accommodation and vehicle type is all you will pay, and that's a promise. To obtain a Lille Eurostar ticket price and book your Eurostar ticket securely online please use the real time Eurostar booking form on the left. You are also able to add a hotel at your destination, or anywhere else, to your Eurostar ticket when completing your Eurostar ticket reservation. Discover the young and cultural city of Lille, whose Flemish influence can be seen not only in its architecture but also in the irrepressibly cheerful nature of its residents. At just an hour from London, Lille is the capital of the northern France region, lying on the border with the Flemish part of Belgium. The Braderie de Lille is the biggest fleamarket in Europe and includes all kinds of fringe events and gatherings. Among the many boutiques and shops in Lille you'll find Europe's largest bookshop, the Furet du Nord, which has over 7,000 square metres of bookworm heaven, and often hosts cultural gatherings, debates and lectures. The central square in Lille is named after General de Gaulle who was born in Lille. Admire the distinctly Flemish-influenced façades as you stroll among the arcades and galleries, and through the courtyard of the Vieille Bourse, a real gem of 17th century Flemish architecture. Lille lies on the Brussels-Paris-London connection. TGV and Eurostar trains stop here. The journey to Brussels takes little more than 30 minutes, to Paris about an hour, and to London about an hour and 25 minutes following the new high speed train link to London St Pancras which opened in October 2007. 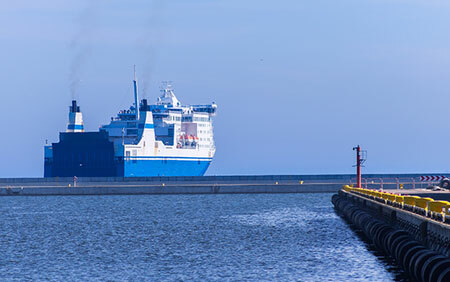 Coming in by ferry from Calais, train connections run fairly regularly, though it can be hard to get accurate times online. The journey takes about an hour and a half. (SNCF website allows one to check train timetables) Lille is also linked by TGV (fast trains) to Lyon (3 hours), Nantes (4 hours), Strasbourg (3.20 hours) and Marseille (5 hours). If you are traveling from London, Eurostar is the best option to reach Lille through the Channel Tunnel and it will take less than an hour from London St Pancras International Station to Lille by Eurostar. From Eurostar, you either go to Brussels or Paris Gare du Nord Station. These are called Direct Services of Eurostar. Eurostar connects you to hundreds of other European destinations across Europe. London to Lille by Eurostar Train is the cheapest way to reach Lille from England. Vieux Lille - Old Lille is centred around the Place du Général de Gaulle with the impressive Vieille Bourse, a trading exchange built in the mid-1600s. Nearby is the Opera House, impressive inside and out, which you can visit during scheduled performances or during open days. Notre Dame de la Treille is the seat of the Catholic church in Lille. The church was started in 1854 but not completed until 1999. The church is a mix of modern and gothic, with a very modern looking front facade. The Citadel of Lille is a pentagon-shaped citadel that was part of the city wall of Lille. It was built in 1668, part of a massive fortification by the Marquis de Vauban, who fortified 28 cities in France for Louis XIV to keep out the Spanish. The citadel in Lille was dubbed "Queen of the citadels" (Reine des citadelles) by Vauban, and it is one of the most notable citadels designed by Vauban. The citadel was part of a double line of fortified towns of Gravelines, Dunkirk and Maubeuge-Rocroi, called the pré carré ("square field"). Today it is home to the French military. The Town Hall and the Belfry was designed by the architect Emile Dubuisson. The town hall was built in the 1930s, and the belfry (clock tower) was the first building in Paris to be over 100 metres in height. Best Price Guarantee - We always offer you our lowest available Eurostar passenger and car trains ticket price to and from Lille. There are no hidden extras or surprises such as added fuel surcharges or booking fees and we also we do not charge you anything extra for paying with a Visa Electron card. The price we quote for your selected Lille Eurostar ticket, onboard accommodation and vehicle type is all you will pay, and that's a promise! In the unlikely event you find the same all inclusive Lille Eurostar ticket cheaper in the brochure of any other tour operator we promise that we will do our best to beat that price or offer you the choice of requesting a refund. To book Lille car and passenger Eurostar tickets please click here. At ferryto.com you are able to obtain live Lille Eurostar ticket prices, check availability and book car and passenger Eurostar tickets to and from Lille at our lowest available ticket price. ferryto.com is part of the world's largest online Eurostar ticket distribution network providing the ability to book over 80 major European Eurostar operators including to Lille and to over 1,200 other Eurostar routes throughout the UK, France, Spain, Ireland, Holland, Eastern Europe, the Mediterranean, the Baltic and North Africa.